Family portraits are very important! If your TV is larger than the photograph of your family, what are you telling people about your values? Over the years we've heard a lot of regrets about not having family portraits done, usually with an excuse like "I need to lose 15 pounds". The family portrait is about the relationship with the ones you love, not what one person looks like at that particular time. We always use an assistant. It is their job to watch details, make sure you have what you need and help our photographer so they can concentrate and create beautiful photographs. We don't double book. You have our undivided attention. We use the highest quality equipment. MDP is constantly upgrading and investing in the best, and we are always improving ourselves through continuing education. You have control over your photographs. Want them soft, sharp, black & white, colorized, retouched, etc? There are many options of enhancements at MDP. We know you can't wait. You can view your images directly after your session or come back a few days later if you prefer. If you choose to select with paper proofs, they'll be ready in 3-5 days. 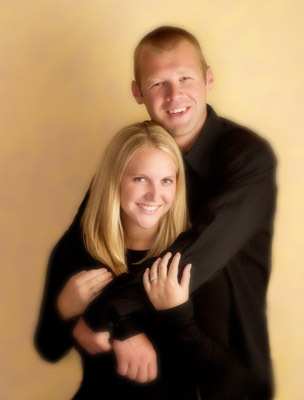 Our finished portraits take 3-4 weeks, and rush service is available. Our quality is guaranteed. From retouching to framing, if you're not happy with something, we'll fix it. Our value is incomparable. You will find studios that charge more, some that charge less. What you have to decipher, is which is the best value for the money. Look at lots & lots of photos, get all the money questions answered up front, spend time with the staff, get referrals and then go for it. You can always call us for advice, even if you're not using us for photography, we're here to help! Copyright © 2012 Dwyer Photography. All rights reserved. Site Development by Marathon Internet Services.